I was asked recently about using Hydrogen Peroxide for softening impacted ear wax. I had heard about using it before and it was a safe process. Having said that, I met a lady many years ago who had destroyed her eardrum and her middle ear with a solution of Hydrogen Peroxide she had bought by mail order. So it is obvious that you need to be careful. So I decided to do some research on it, let's look at what I found out and answer that burning question. Can you use hydrogen peroxide for earwax removal? The answer is yes you can, however, it comes with caveats, read on to find out how you can do it safely. Again, the answer is yes, but I wouldn't use it neat, it needs to be diluted. If you experience pain, hearing loss, or discomfort in your ears. 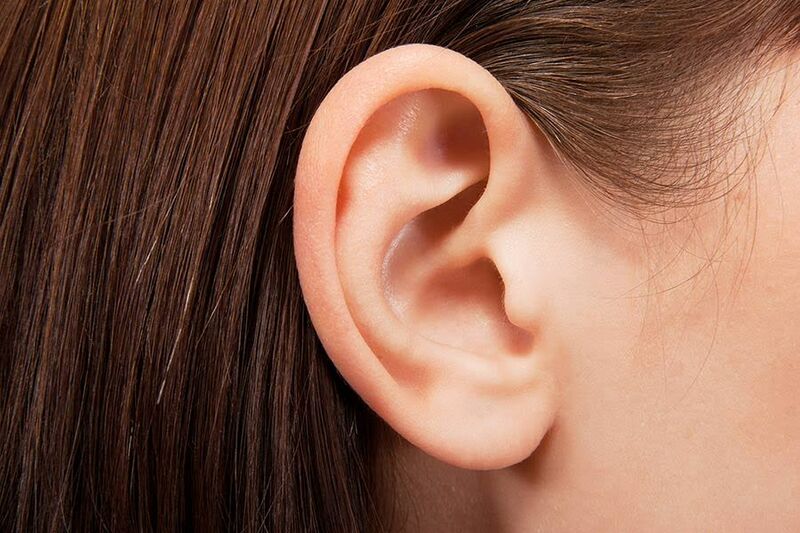 This could be caused by more than earwax buildup. If you experience sudden hearing loss in one ear this could be a sign of an underlying medical condition. This should be treated as a medical emergency, don't hang around, don't dither, get some medical advice quickly. Ear wax is not a bad thing, your ears make it for a reason. Generally, most people just produce enough wax to protect the ear canal from water and infection. However, some people over produce ear wax, even if you aren't one of them, sometimes, your ears may produce more wax than usual. The wax isn't the problem, it only becomes a problem when it builds up enough to block the ear canal, or it becomes impacted against the eardrum. When it does, you will need to take action, there are several things you can do, one of them is to use ear drops designed to soften the wax. There are many wax-removing eardrops or solutions available over the counter in pharmacists. While most of these solutions are often oil-based, some use hydrogen peroxide to soften the earwax. This, in theory, allows the wax to come out on its own. Believe it or not, there is a body of research into ear drops for wax removal. Generally, while Hydrogen peroxide has been considered an effective ingredient in earwax removal (usually about 3% or 4% solution) since at least the forties, one 2013 study pushed for the use of distilled water only to soften earwax. That study found that distilled water worked most effectively at breaking up earwax when compared to water mixed with sodium bicarbonate or an oil-based solution. I was actually surprised by that, I would have thought that bicarbonate of soda would have done better, however, it seems distilled water is the better answer. What Earwax MD claims to do is actually soften the earwax quicker or even dissolve earwax to make it easier to remove whether you do it at home or at a hearing care clinic. The science behind Earwax MD is pretty interesting, it uses sodium and potassium bicarbonates which interact with the long-chain fatty acids found in earwax. Those ingredients make the fatty acids absorb water easier. The second major ingredient is glycolic acid which interacts with the skin cells in the earwax to loosen that dead skin and help break apart the earwax. The third main ingredient is glycerine which helps to drive water into the skin cells further softening and breaking apart the earwax. Basically, these three ingredients are the perfect recipe for softening your earwax. In many cases, a ten-minute application may well be enough to make the removal of the earwax a quick an easy experience. So, in order for the hydrogen peroxide, or indeed any solution to do its job, it needs to be in contact with the wax. Hydrogen peroxide acts to break down the ear wax in a bubbling manner which results in the wax becoming softer. In order for that to happen, you need to lie down on your side and pour the stuff in. Then you have to continue to lie there for at least five minutes. That is the problem with ear drops, completely immobile for at least five to fifteen minutes. So, let's look at using Hydrogen Peroxide, first off, you need a towel, a cloth or some tissues to catch the liquid when you are finished. For real ease, you could also do with an eye dropper to introduce the liquid to your ear canal. This is also probably better done with a companion as it may be difficult to do alone. Step 1: You need to lie on your side with the problematic ear uppermost, have both the towel or cloth, the eyedropper and the solution of hydrogen peroxide within reach. Step 2: Fill the eyedropper with about 10ml of the hydrogen peroxide solution and introduce it into your ear canal gently. Almost as soon as the solution enters your ear canal you will hear popping and fizzing. That is the hydrogen peroxide solution working away in the ear canal. While you are lying there allowing the solution to work, the popping and fizzing should begin to fade. Step 3: Lie there, yup, lie there for about twenty minutes. Step 4: Place the towel or cloth to your ear, come to a sitting position and allow the solution to drain out. If the solution has been effective, it will probably bring out broken up ear wax as well. Repeat the procedure for the other ear if it too is affected. Although, having said all of that, it does depend on what the instructions are, follow the directions on the package. You may actually need to administer the solution more than once per day or over the course of several days. Before you go blundering about with home ear wax removal methods like hydrogen peroxide there are some things you need to be aware of. If you think you have an ear injury, don't use eardrops. Generally, the answer is no, however, that is dependent on using diluted hydrogen peroxide and following the instructions. There are home remedies where you can use hydrogen peroxide mixed with water to clean ear wax, just don't do it! The proper solution needs to be 3 to 4% hydrogen peroxide, why bother trying to measure it out when you can just buy the drops over the counter. If the solution of hydrogen peroxide is too strong, it will damage your ear. Back to the story at the beginning of this article, the lady who ruined her eardrum with hydrogen peroxide. Even if you use an over the counter solution, you may still have a reaction to it. it could make your skin tender. But there should be very little chance of it doing real damage. Follow the damn instructions on the hydrogen peroxide eardrop package. Don't stick anything into your ear to "help" remove the wax. Don’t use the solution any more than is stated on the bottle, It will just irritate your ears and may cause an infection. Don’t use hydrogen peroxide if you have an ear infection. Stop Sticking Stuff in Your Ears! People feel the need to stick cotton buds, keys, hairpins and even paperclips in their ear. Don't do it, just nope, all they will do is push the earwax further in the ear. Worse still, there is a good chance that you can damage the ear canal or eardrum. If you burst your eardrum, even if you give it a good poke, you will regret it, I am told the pain is horrifying. If your ear drops aren't working, you should get professional ear wax removal. Many hearing healthcare professionals offer different procedures to remove ear wax. They are all painless and relatively quick. Most people don't have problems with ear wax build up, the wax is usually cleaned out of the ear by the natural process of migration. If that process is interfered with, then the problems start. Don't put anything smaller than your elbow in your ear, and if you think you are having problems with ear wax build up, see a professional. Find An Ear Wax Removal Specialist in Your Area?